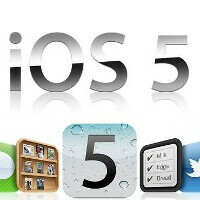 Apple's second beta of iOS 5 has been available to developers for a couple of days now, but along with the host of bugs it fixes, it has also blocked one of the most popular unlock methods out there – Gevey SIM. This leaves you with only two options as you can either downgrade to the first beta or to iOS 4.x if you need to have your device unlocked. Jailbreaking the beta, however, is still possible with Redsn0w 0.9.8b1. Interestingly, the new beta has introduced the option to create and modify existing albums and while the feature still looks raw, that would be a welcome addition to the platform. Also, we could well have OTA updates to iDevices in future version of iOS as a developer got a “No updates were found” notification when trying to refresh the Software Update field on his iPad. Along with those, other novelties include videos enabled for AirPlay by default in apps and websites, automatic wireless syncing with a paired computer, while other issues like storing content iCloud have been fixed.